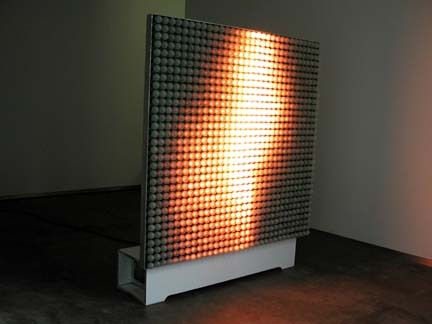 Light Machines, Xavier Veilhan's fourth solo exhibition in New York, was presented by Sandra Gering Gallery at its former Chelsea location. 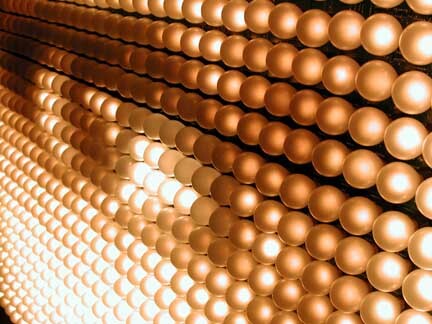 Included in the exhibition will be two "lightworks" - large grids of light bulbs that transmit dreamlike moving images. In recent works, Xavier Veilhan has explored the translation of virtual images into three-dimensional objects using a variety of media. With the Light Machines, Veilhan applies this virtual-to-physical translation process to moving images. Veilhan transforms low-resolution films from their original digital formats to analog. 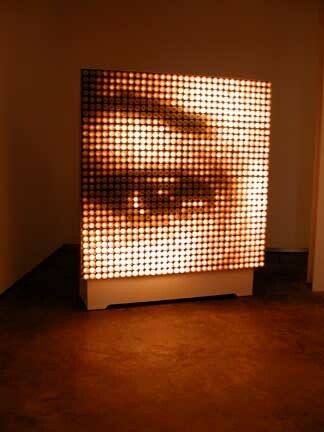 The analog formats play on grids of 1,024 light bulbs, where each bulb corresponds to a pixel in the digital film. The electronic becomes electric. 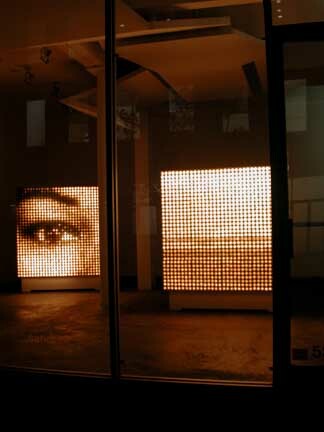 The 2 minute 40 second films are simple collages of images that are burned into the Light Machines' memories. The images are familiar - a winding road, a fire - and in Veilhan's trademark style, reduced to simplified forms that render them generic and open for interpretation. The large size of the works and varying degrees of heat emitted from the bulbs mingle the visual experience with a physical one. 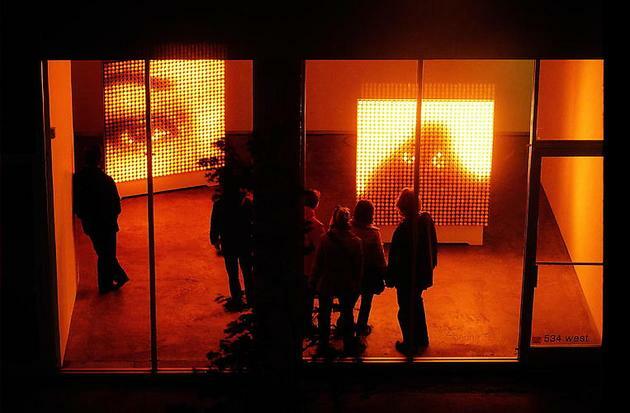 In addition, the distance between body and machine directly influences the viewer's perception of the image. Works from this series were shown recently at the Fundacio Joan Miro in Barcelona, and the Musee d'Art Contemporain in Montreal.